Mythology vector graphics of Tsagaglalal or She Who Watches. 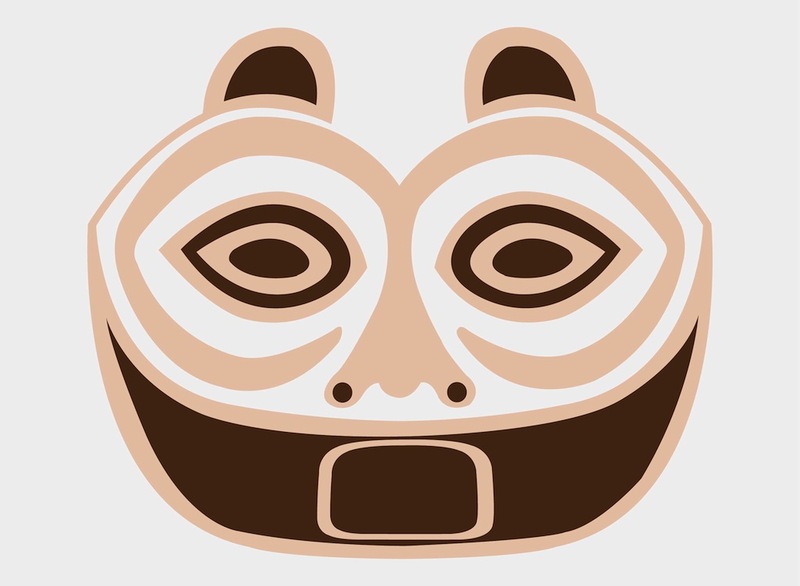 Bear head representing the Native American deity. Petroglyph image in earth tone colors. Free vector design for mythology, Native Americans, religions, sacred animals, totems and tribal symbols designs. Tsagaglalal face for clothing prints and stickers. Tags: Bear, Deity, Mythology, Native Americans, Petroglyph, Religion, Totem.